78 essential first aid items Shelf Life: Minimum 2 years, or not exceed the expiry date of any individual component with a shorter shelf life. 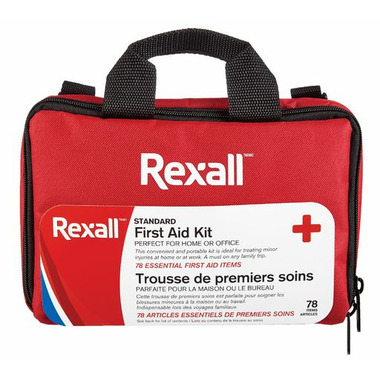 This convenient and portable kit is ideal for treating minor injuries at home or at work. A must on any family trip.